We use the most thorough carpet cleaning method available. 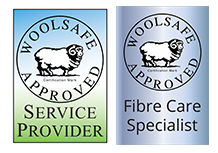 all your carpets and soft furnishings are drier, healthier and cleaner. to achieve an exceptional result. i.e. fine spray wet cleaning or dry-cleaning. We will also carry out dye bleed and pile distortion tests where required. All work is guaranteed for your complete satisfaction. of taking your curtains down and re-hanging. This ensures your privacy is not affected for any length of time. For more information about this service please contact us today. the problem through additional cleaning methods. We use the most thorough carpet cleaning method available. Our method is to power vacuum then pre-spray with a solution to loosen soil and stains, and then rinse out with a mild solution using a powerful, twin-vacuumed machine which achieves a deep down clean. Because of the advancement in our machinery and cleaning solutions all your carpets and soft furnishings are drier, healthier and cleaner. We do not need to use high heat or strong pH cleaning solutions to achieve an exceptional result. We have over 40 years experience in the professional carpet, curtain and fine furnishing cleaning industry in Farnborough, Camberley and the surrounding areas and have remained up-to-date with all the many developments in machines, cleaning methods and products. Over the years we have tested several carpet cleaning systems and ours is far superior to the quick-clean dry-cleaning systems such as foam, husk and powder methods which do not remove stains, heavy soil or give a deep down long-lasting clean. We have two methods of cleaning expensive, delicate rugs. By using either a dry solvent machine or a water extraction machine, using a close contact tool for a deeper clean and much faster drying. Areas we cover include... Farnborough, Camberley, Fleet, Hook, Hartley-Wintney, Sunningdale, Ascot, Farnham, Hindhead, Yateley, Blackwater, Church Crookham, Odiham, Godalming and surrounding areas.